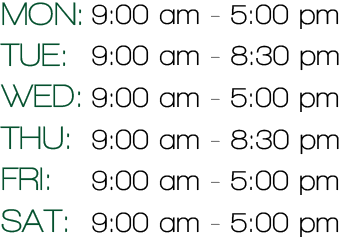 The Thomas Memorial Library participates in Minerva, a consortium of nearly 60 Maine libraries, including public, academic, school, and special libraries. 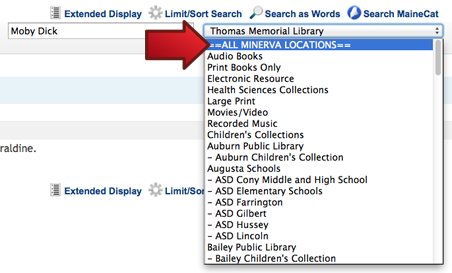 The Minerva catalog includes over six million items—not only books but also DVDs, magazines, audiobooks, and music CDs. You can search the catalog by author, title, subject, keyword, and material type. See our Catalog Tutorials page for help. You can also choose to search particular types of materials using this drop-down menu, such as Audio Books, Large Print materials, or Movies. Or you can search only children’s items in the Thomas Memorial Library’s collection. You’ll find more help and instructions on our Catalog Tutorials page for help and instructions.